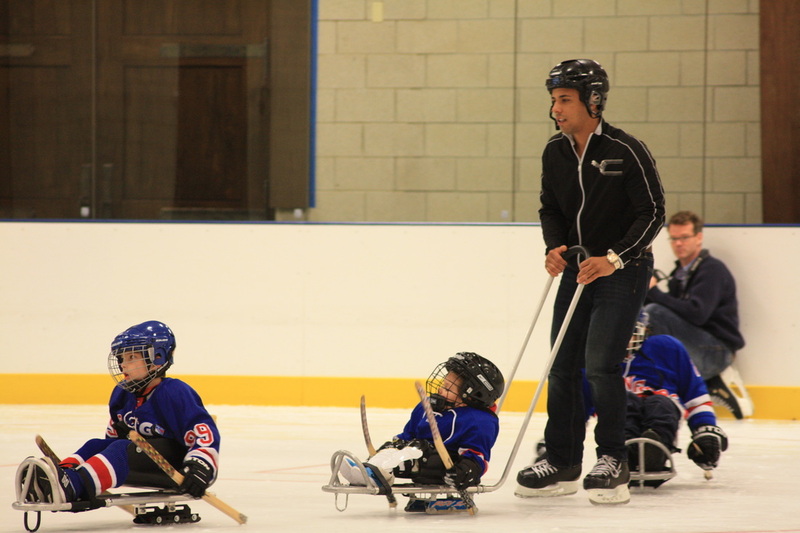 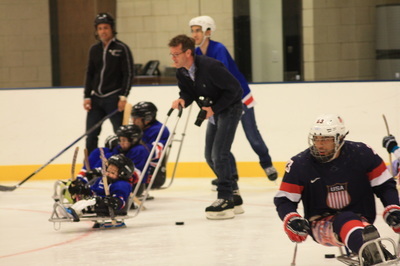 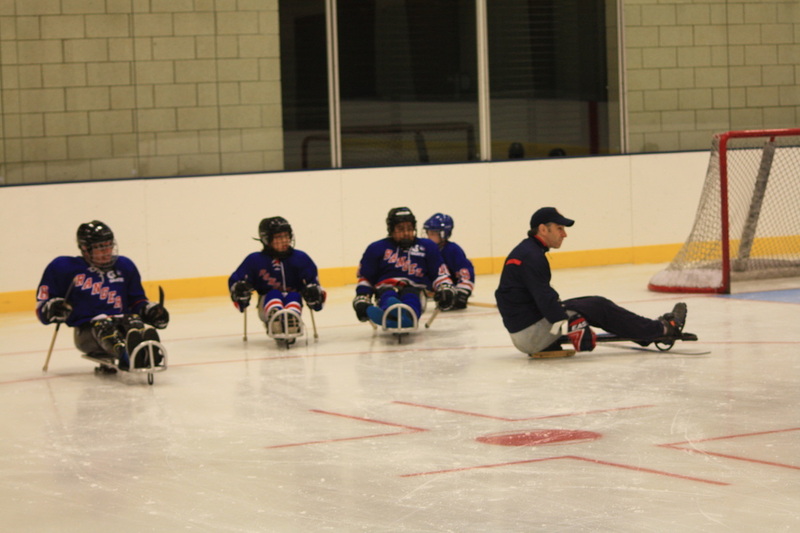 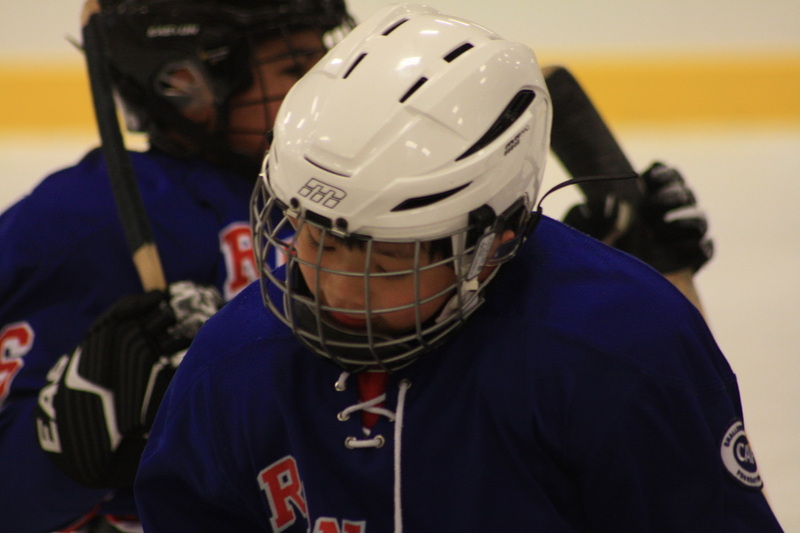 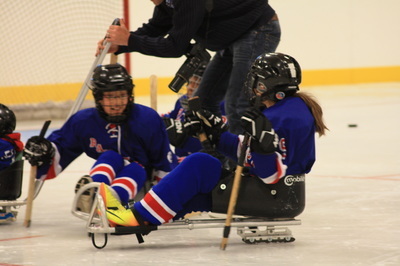 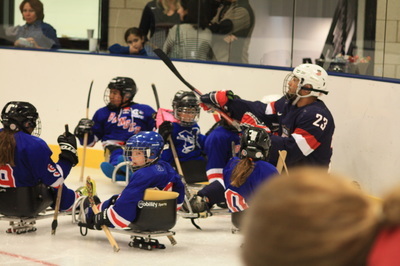 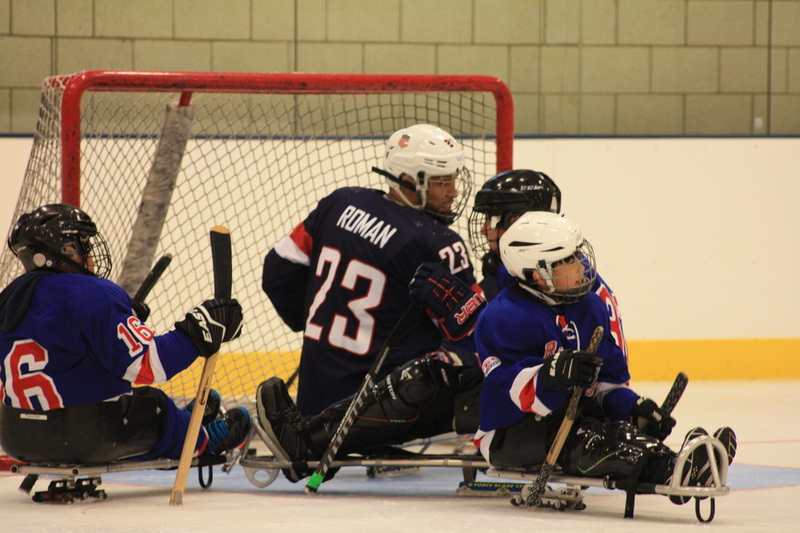 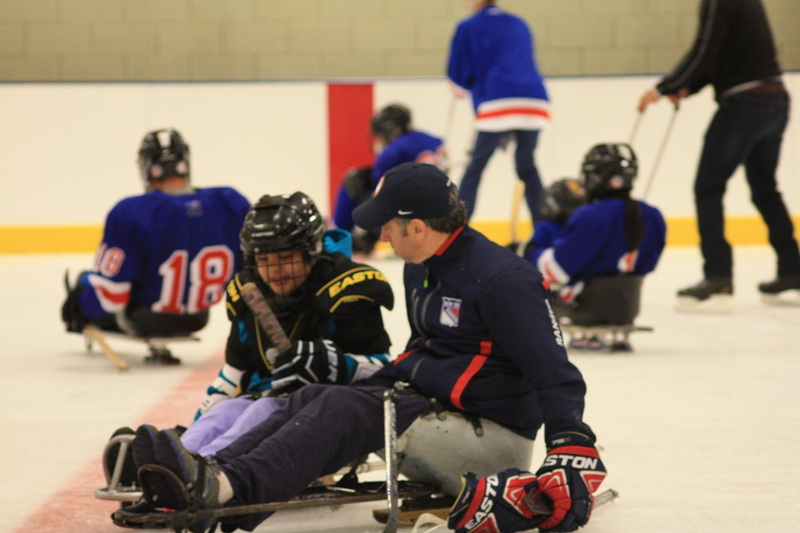 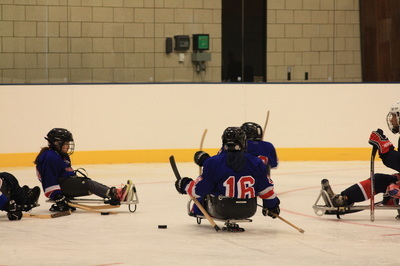 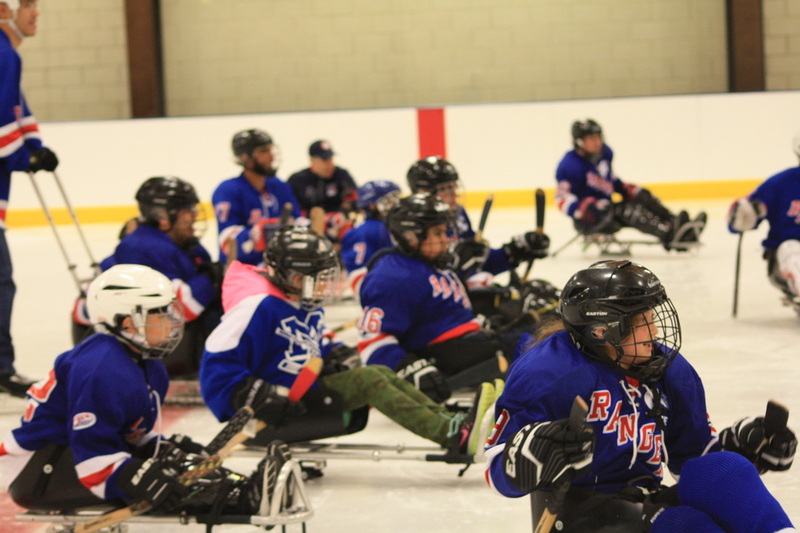 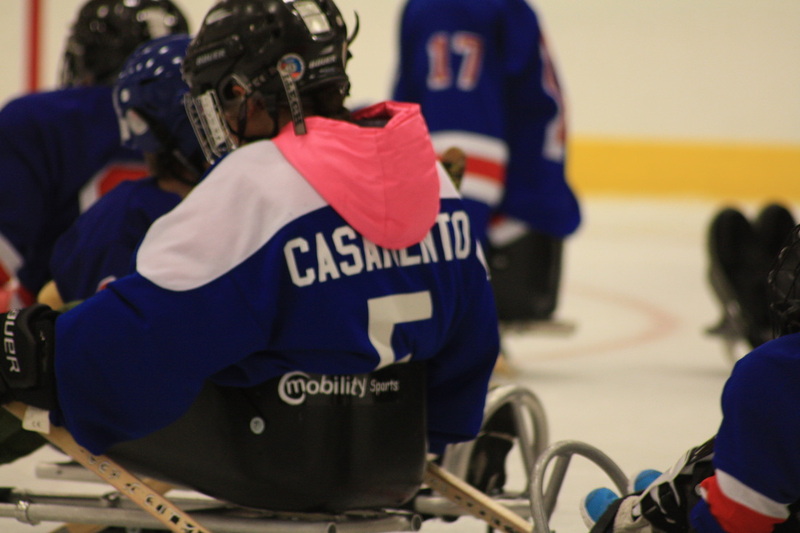 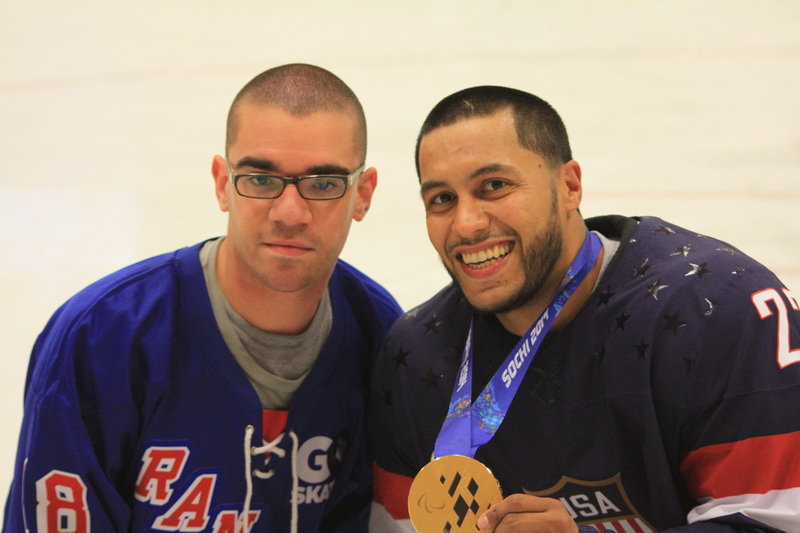 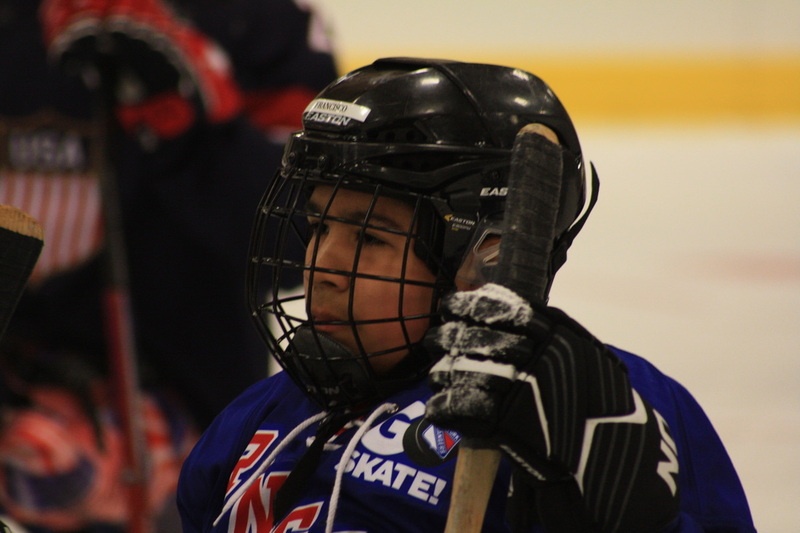 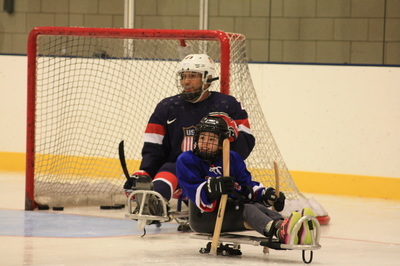 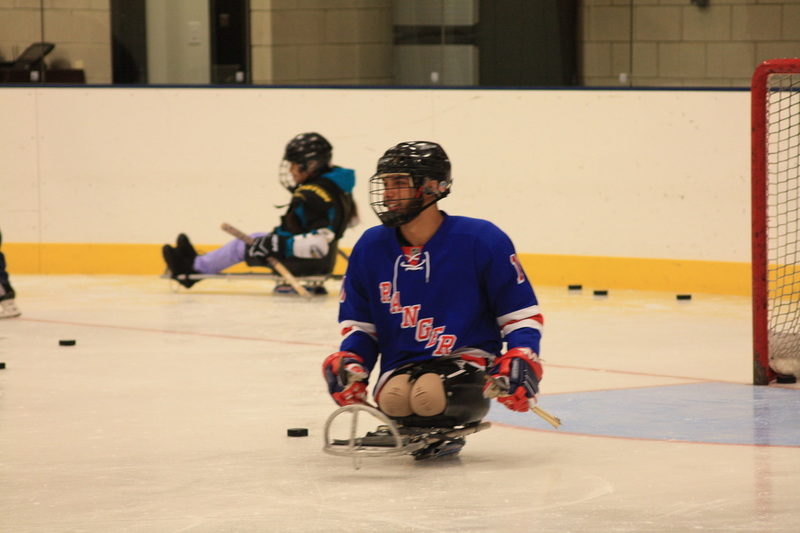 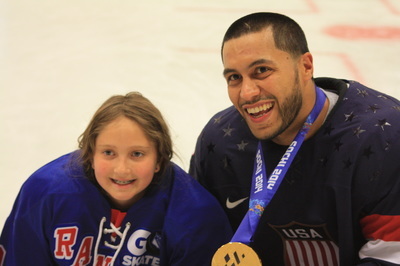 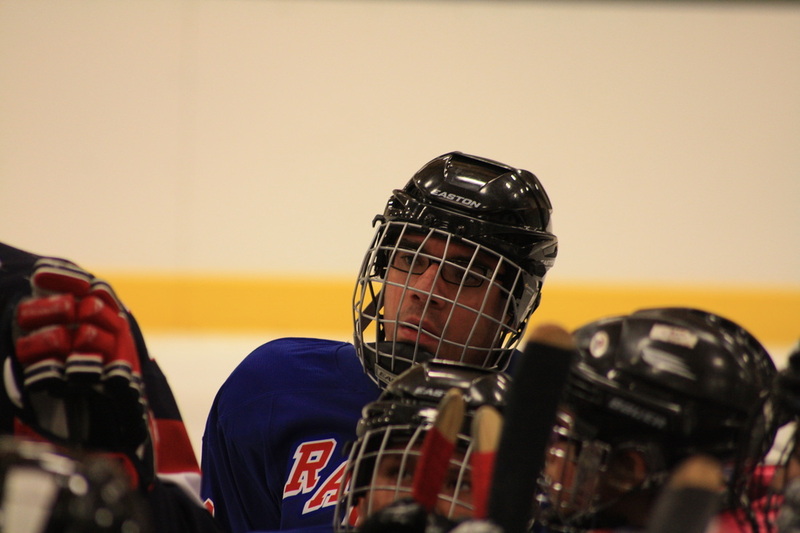 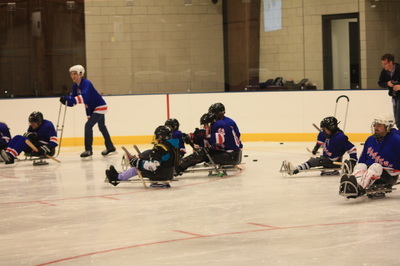 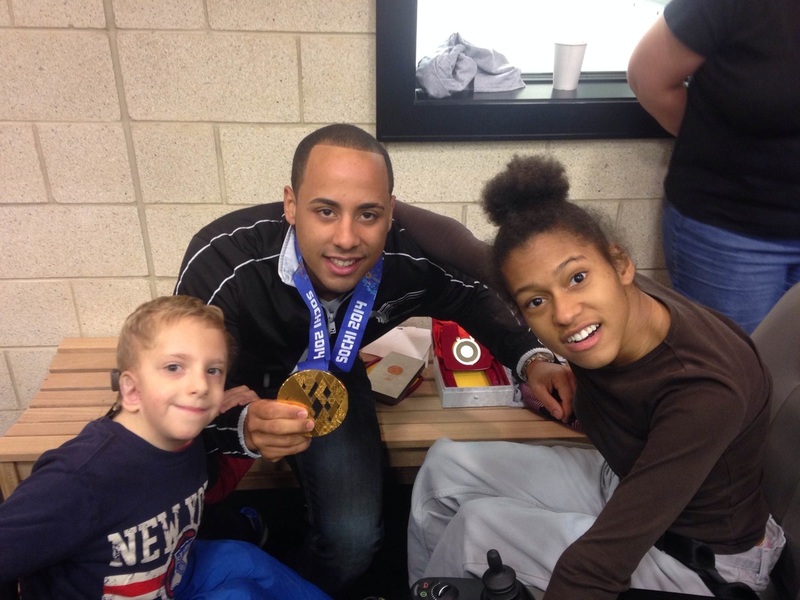 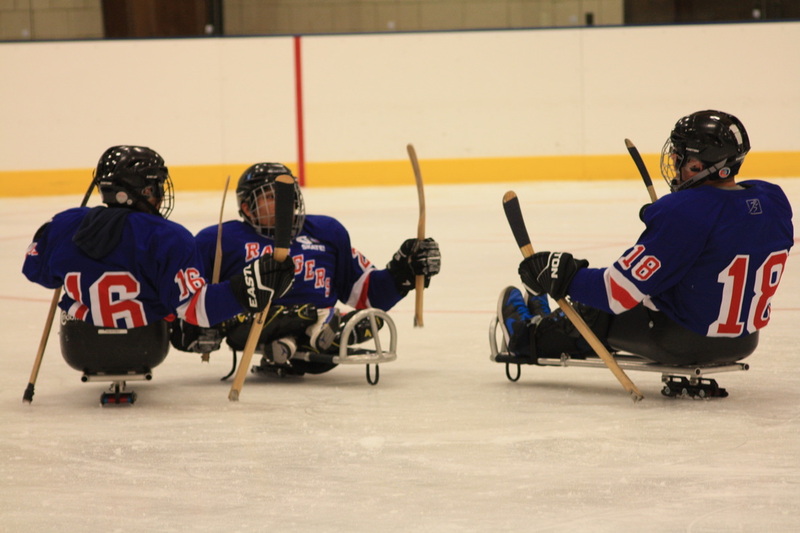 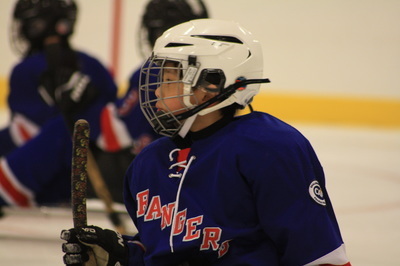 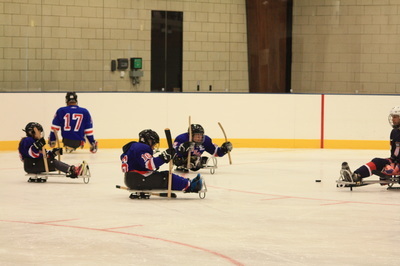 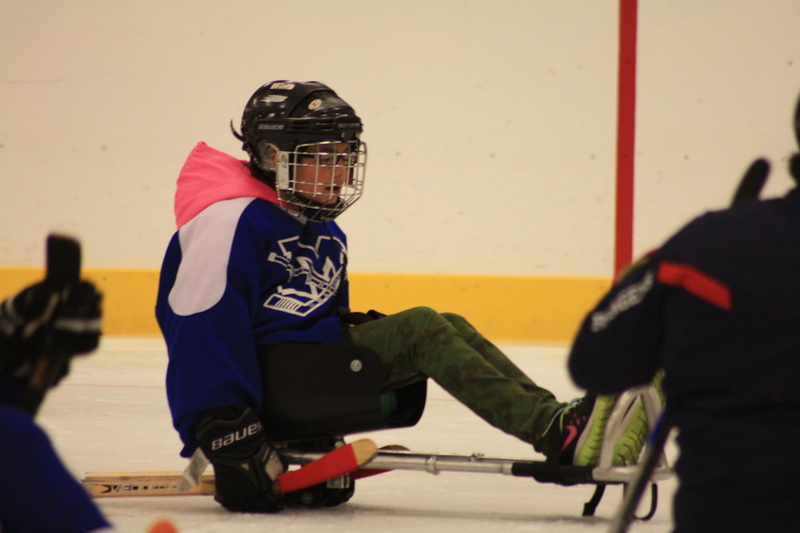 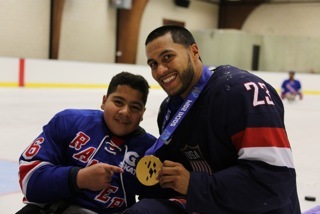 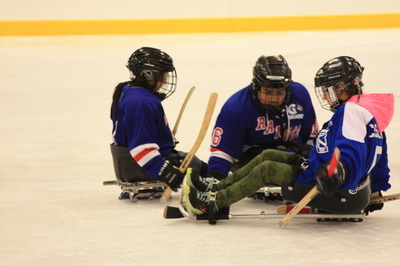 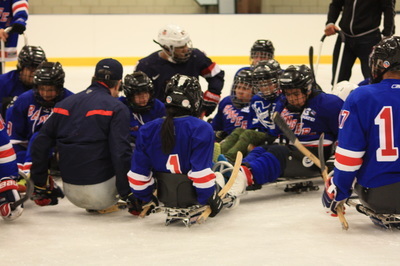 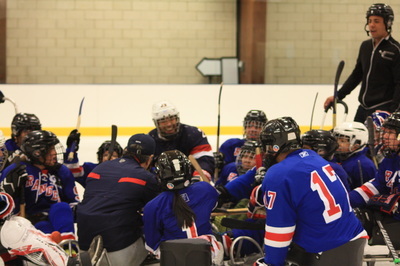 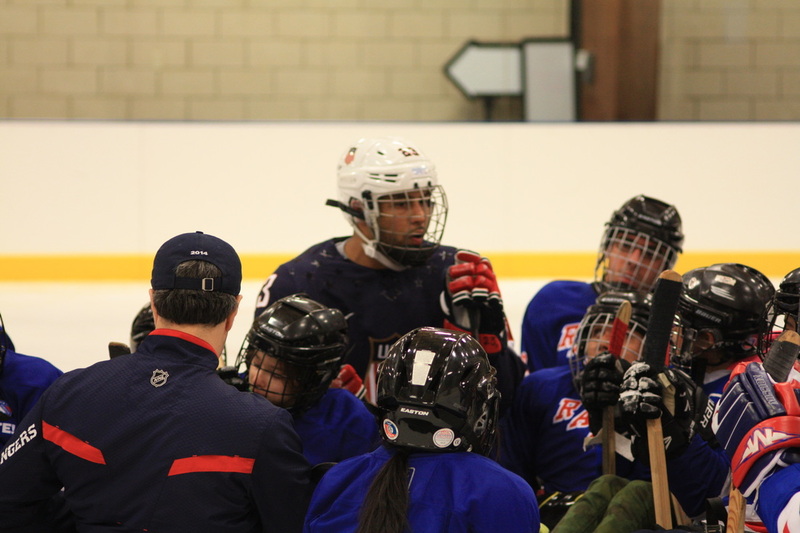 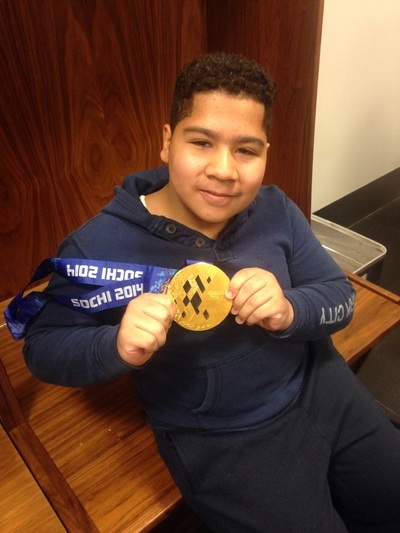 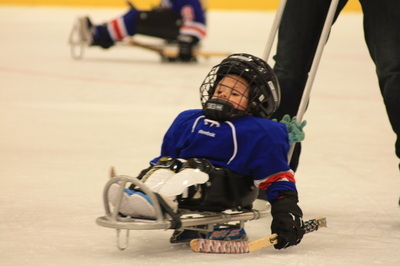 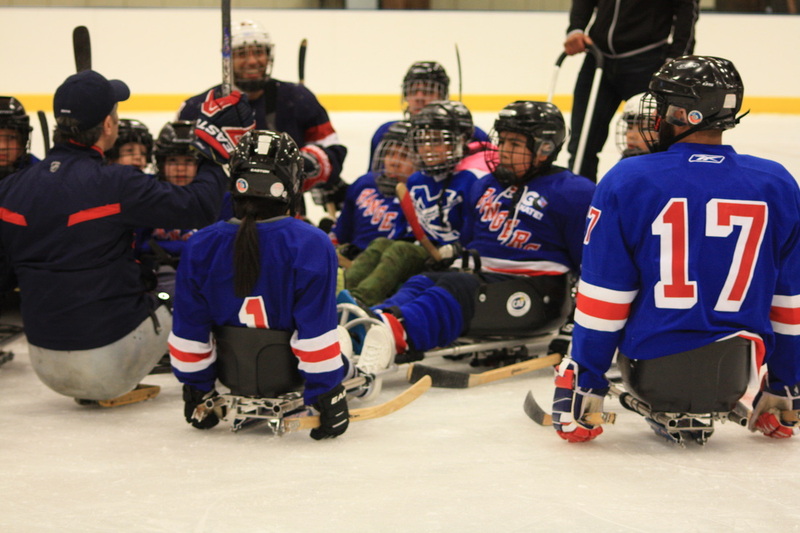 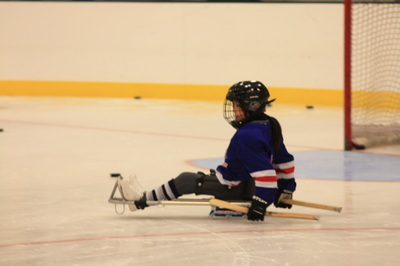 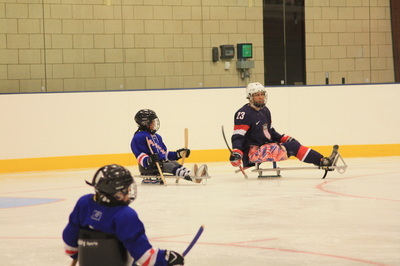 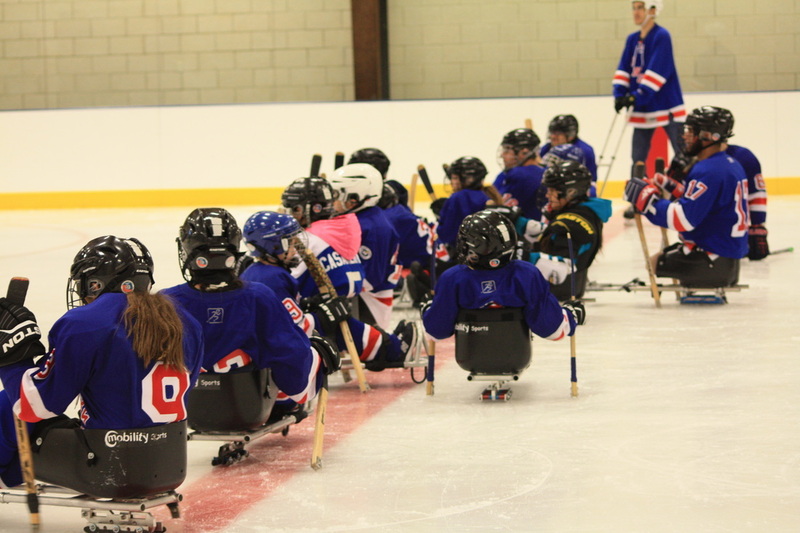 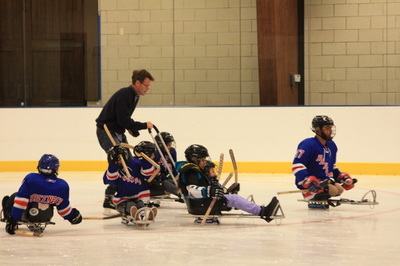 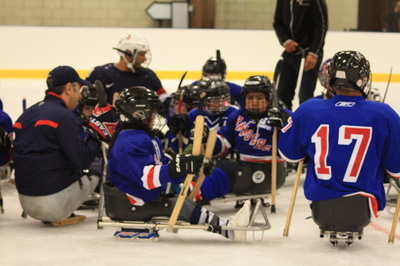 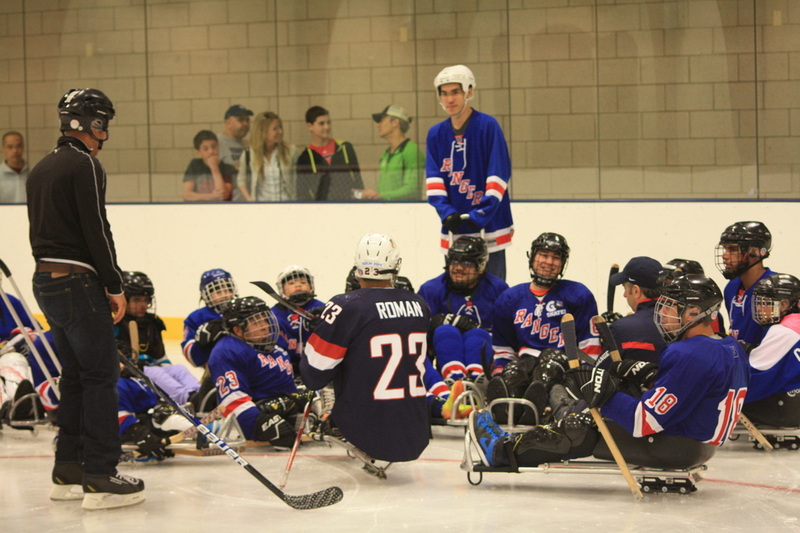 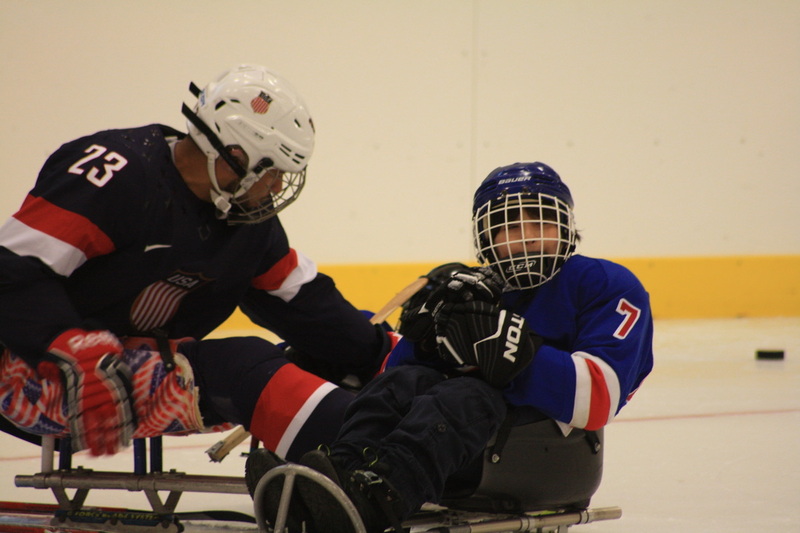 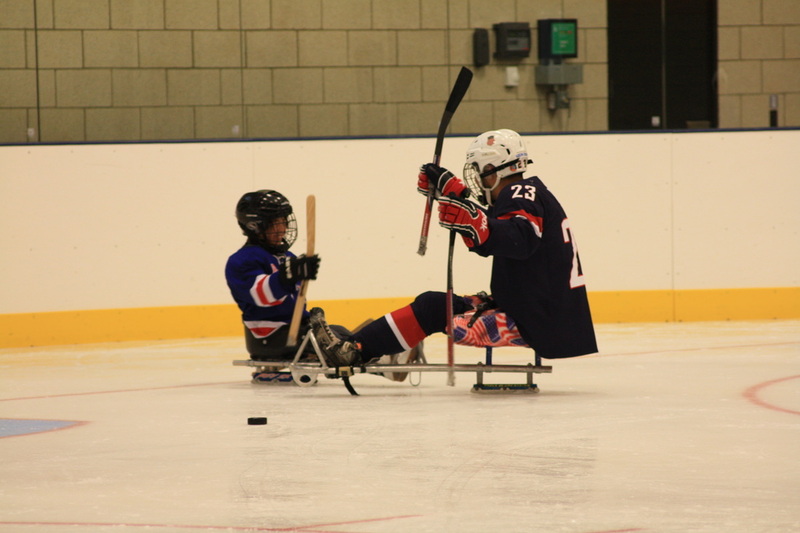 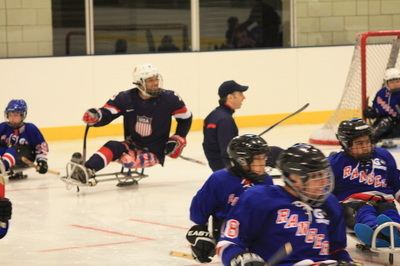 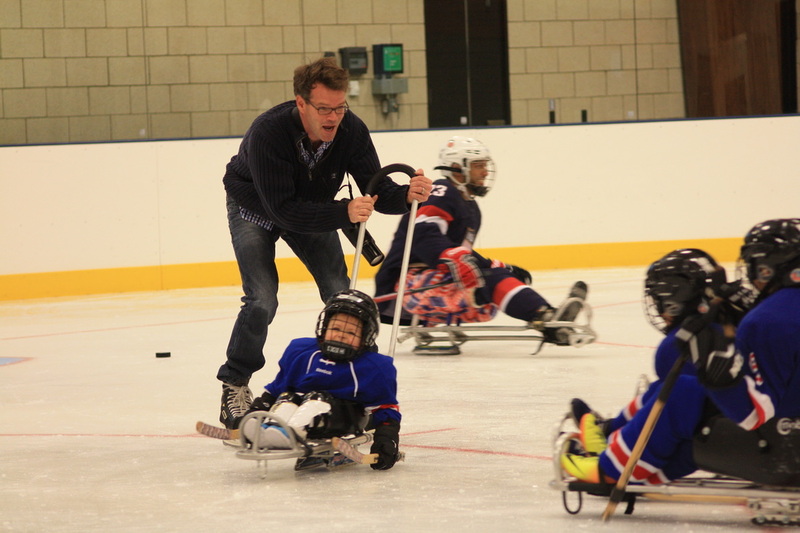 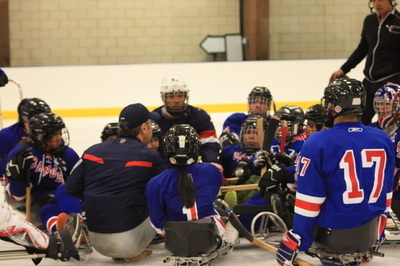 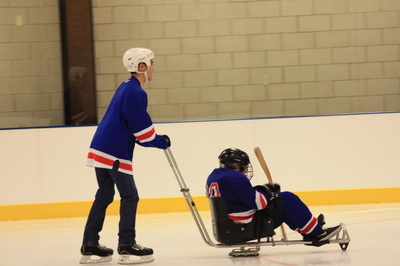 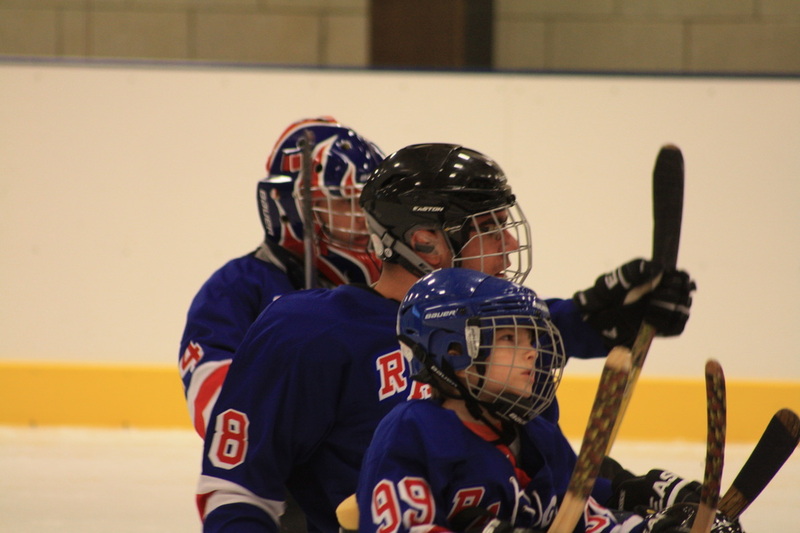 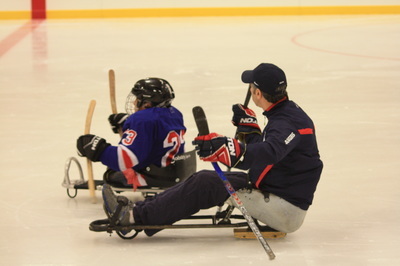 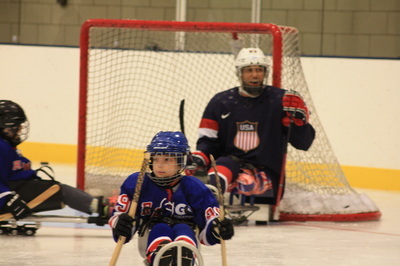 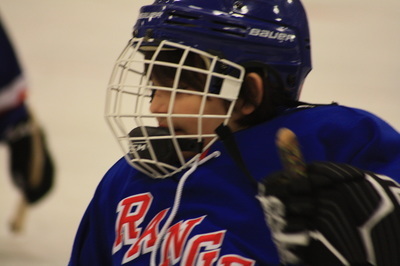 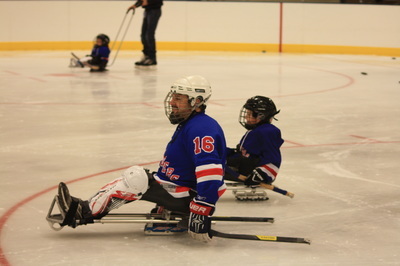 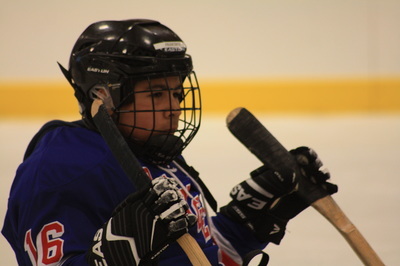 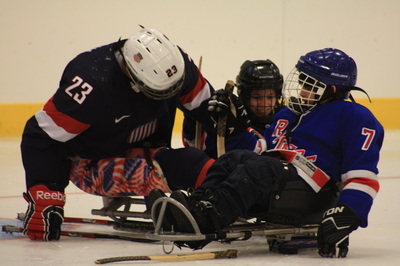 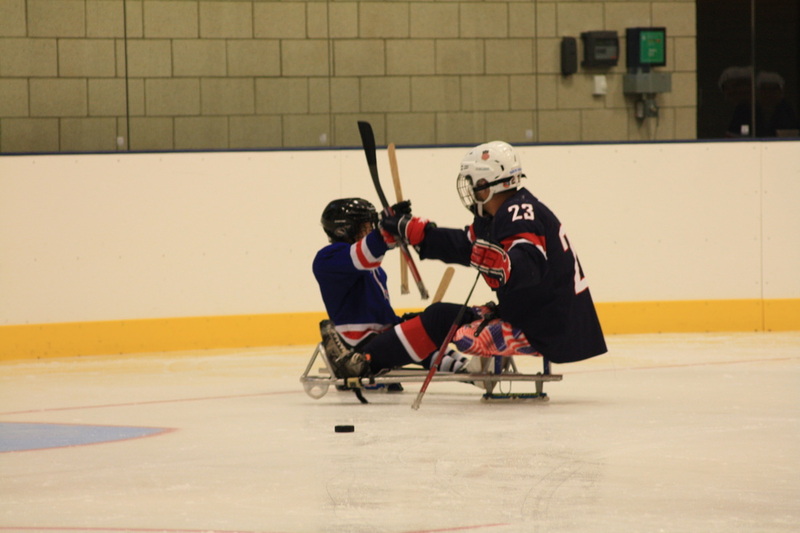 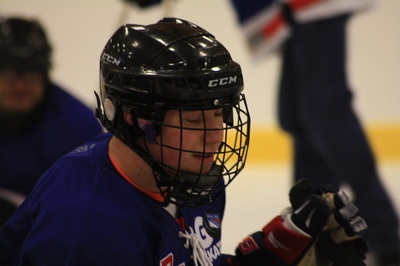 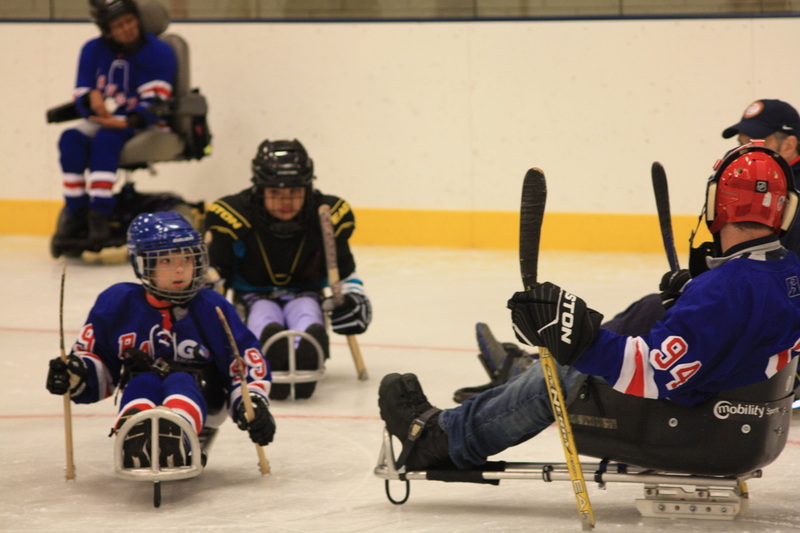 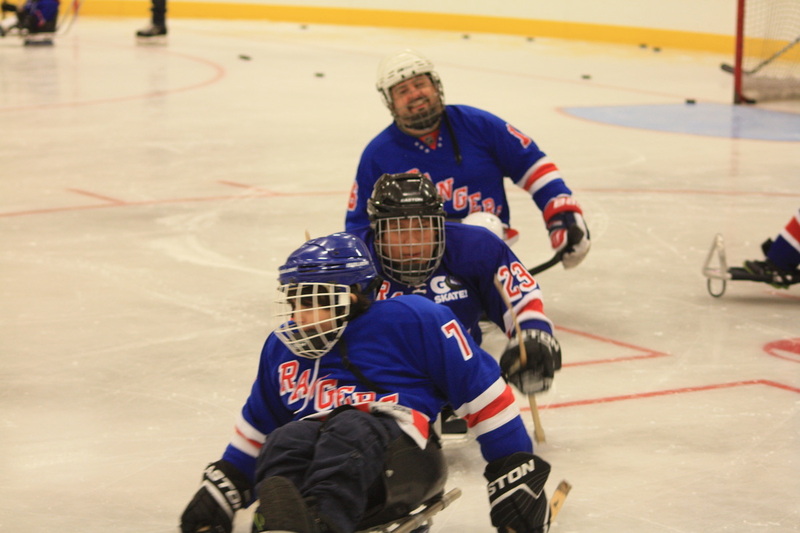 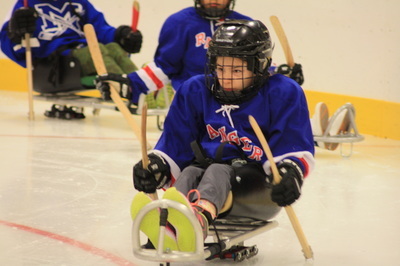 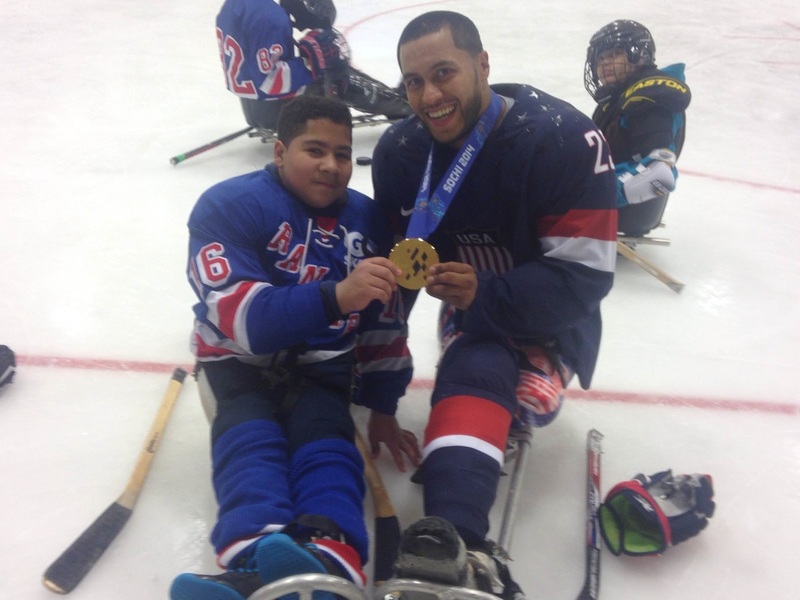 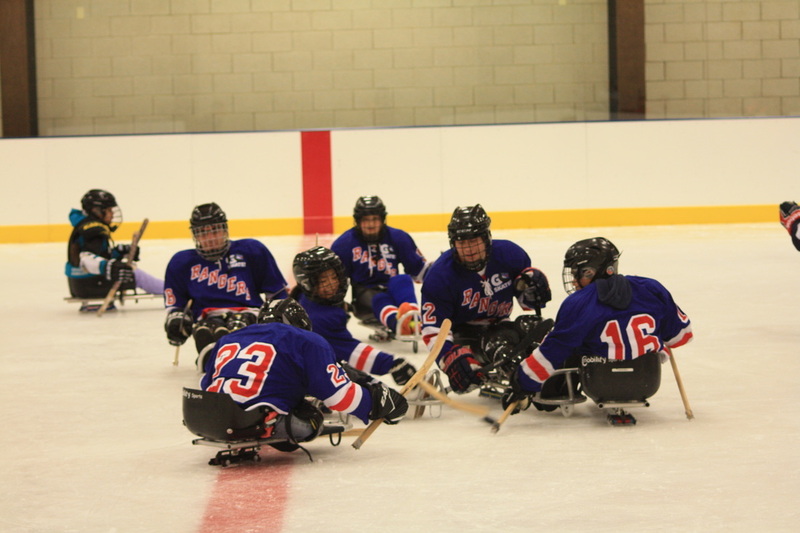 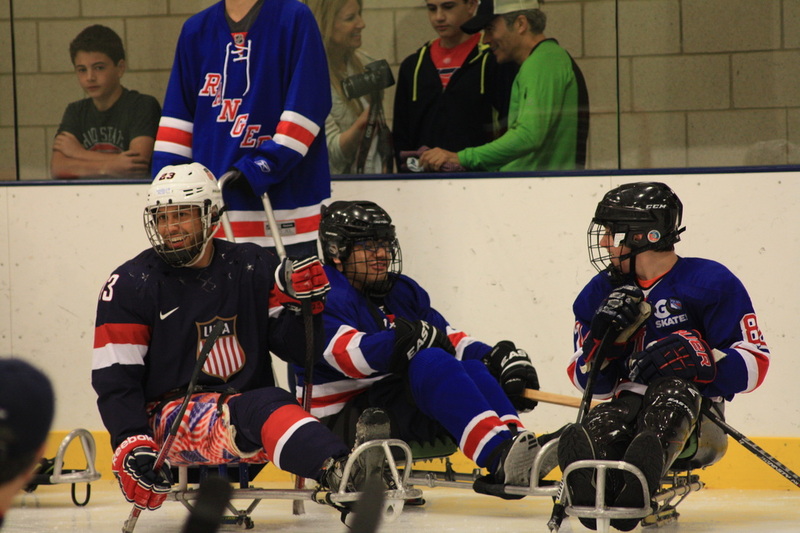 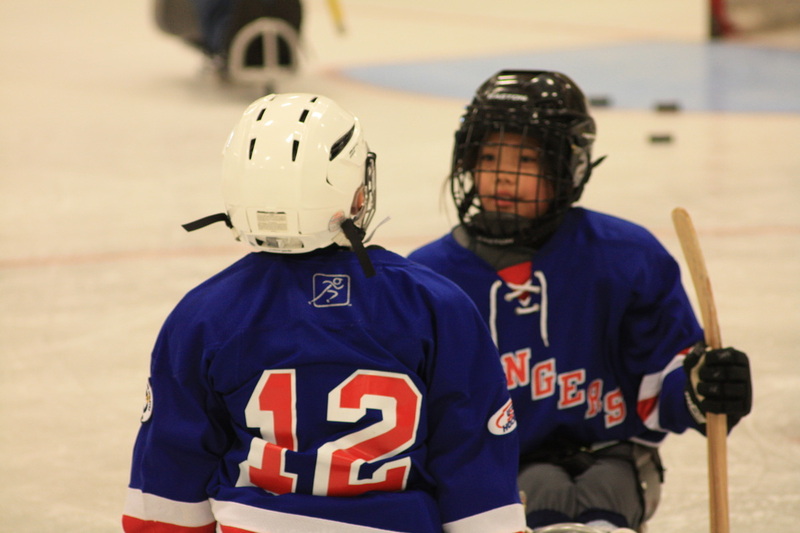 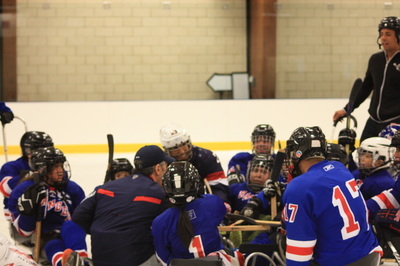 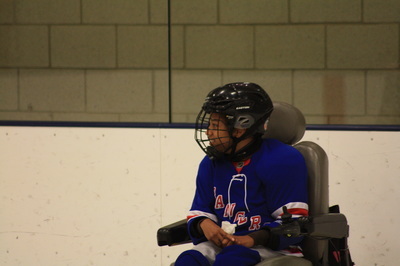 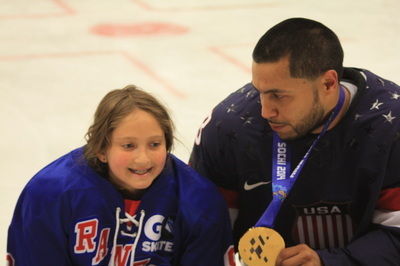 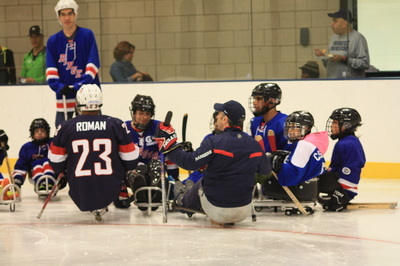 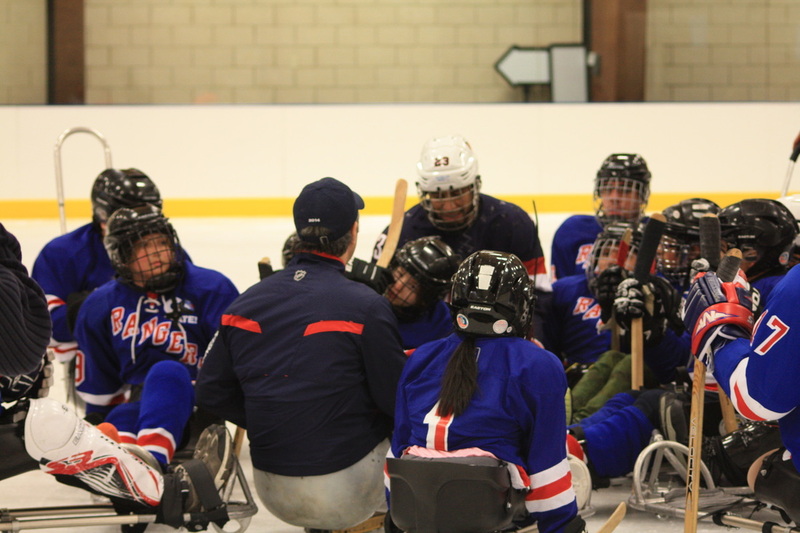 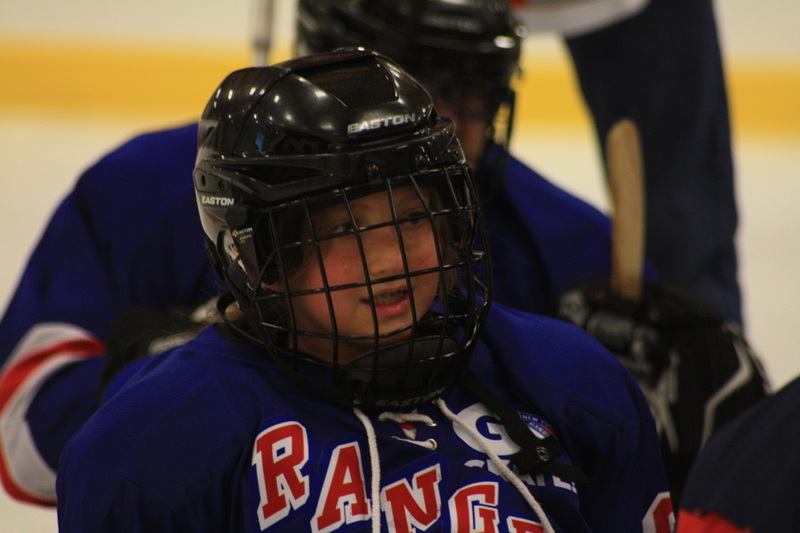 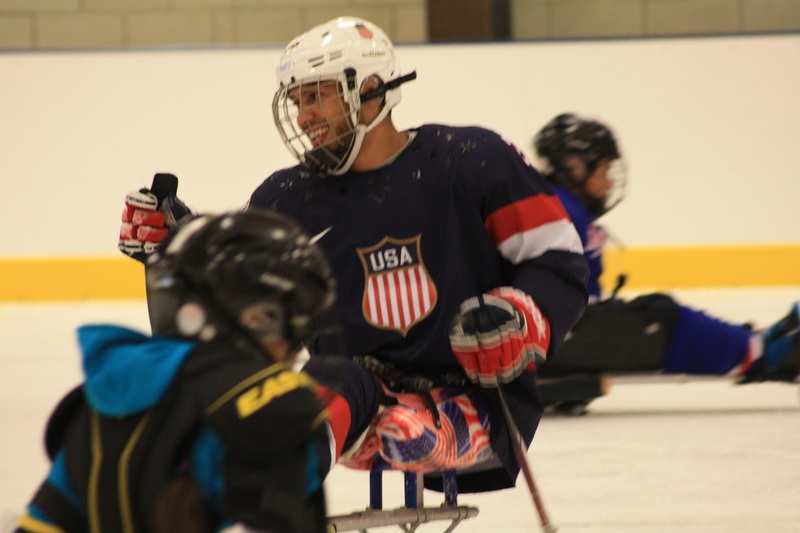 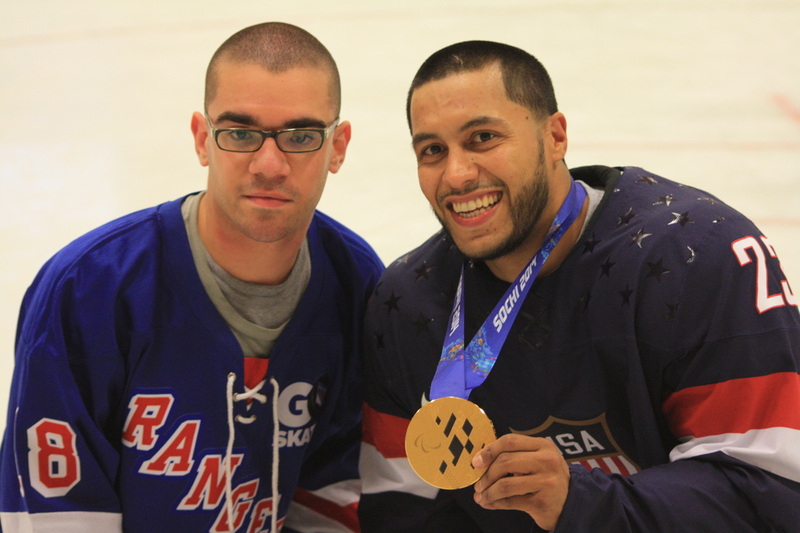 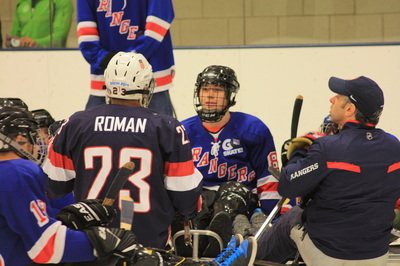 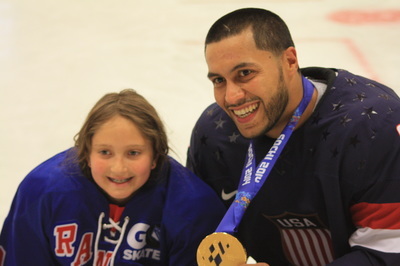 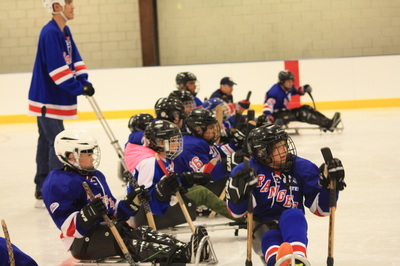 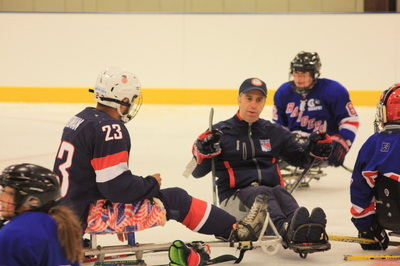 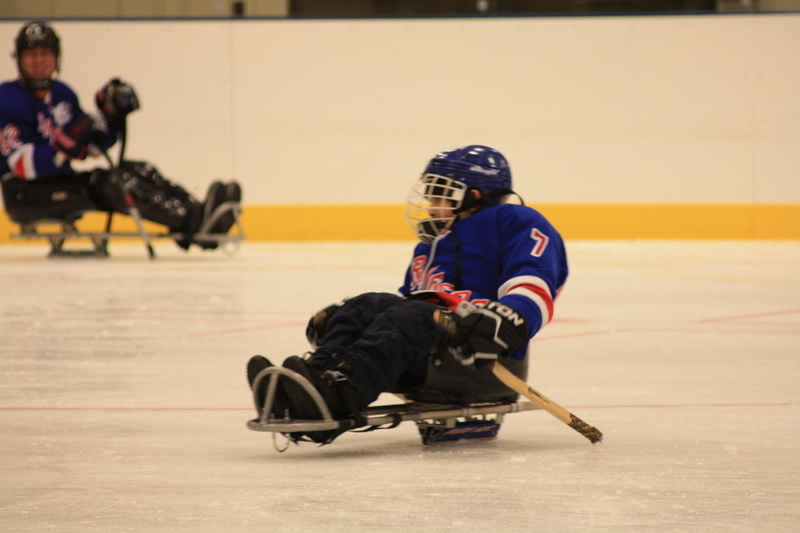 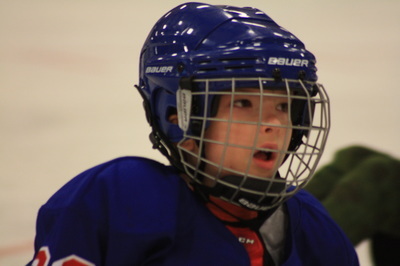 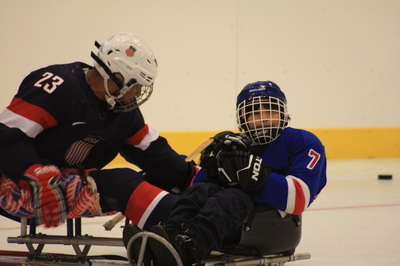 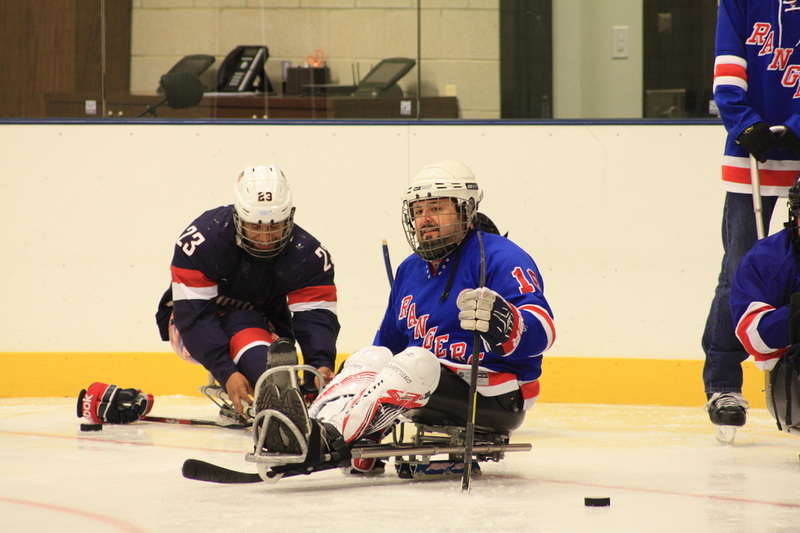 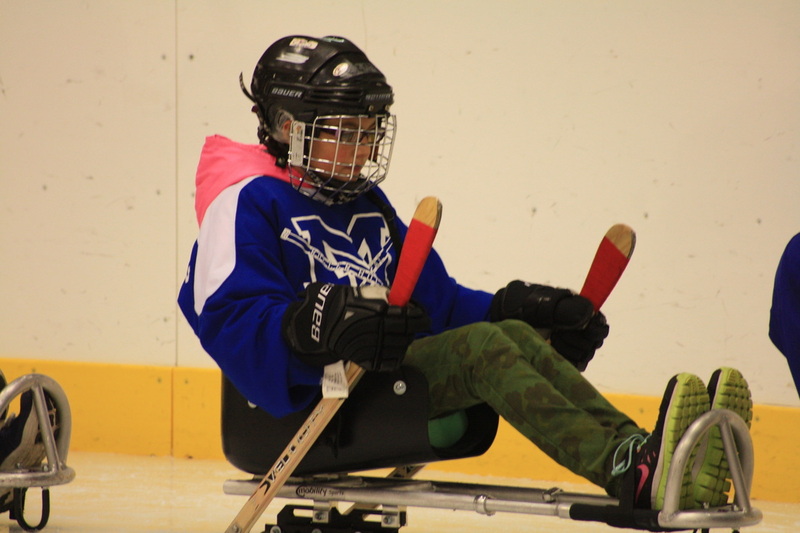 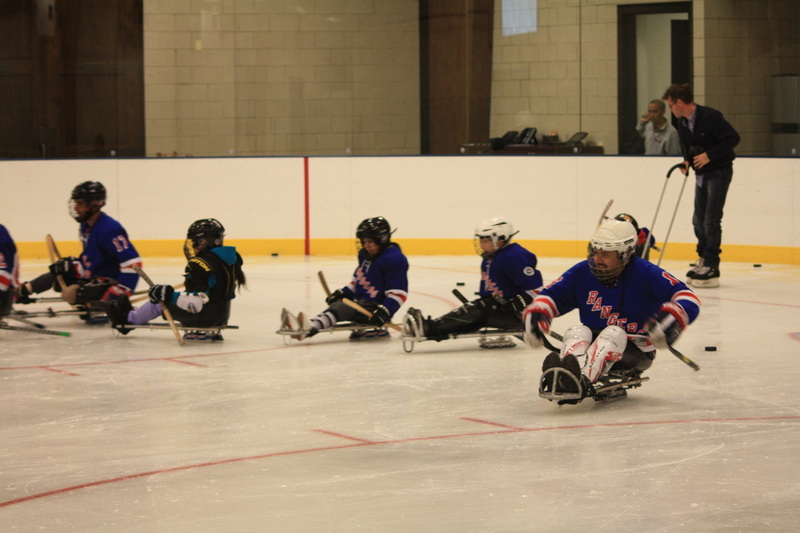 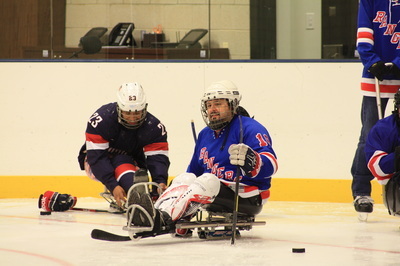 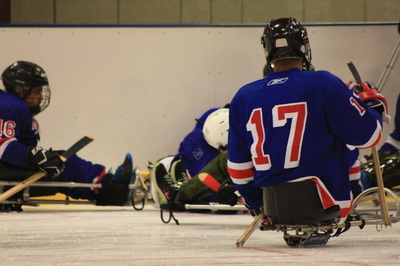 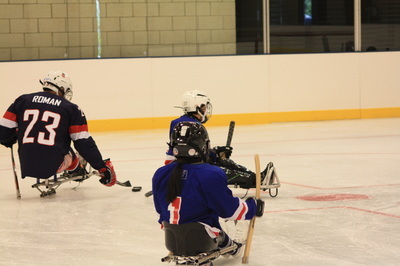 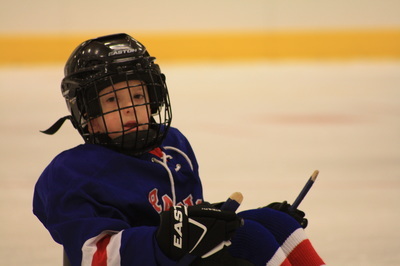 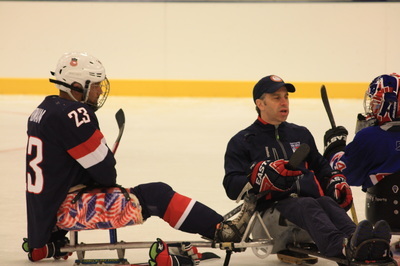 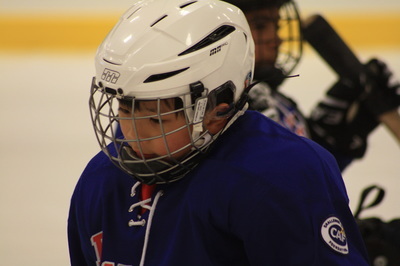 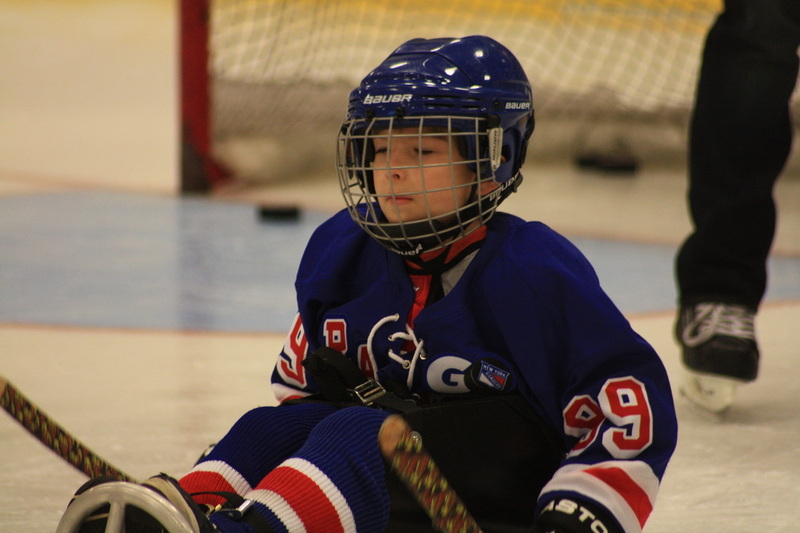 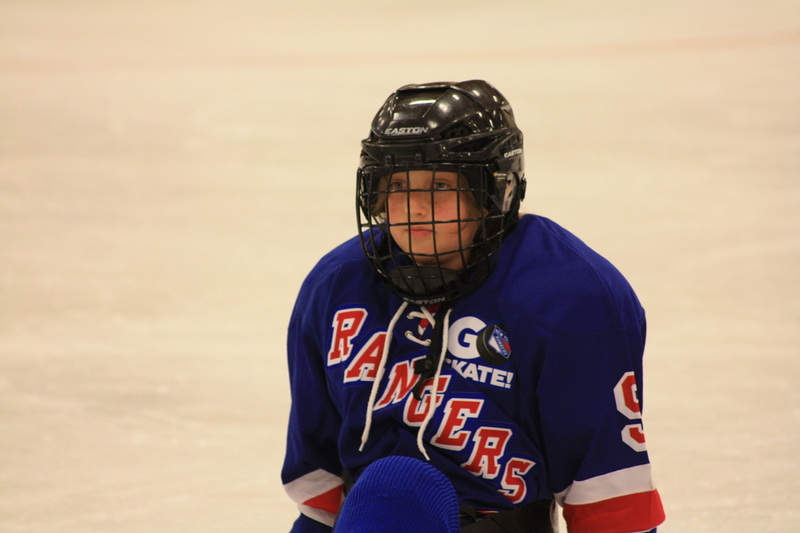 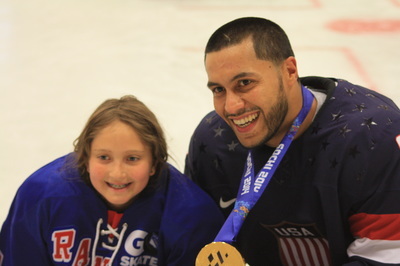 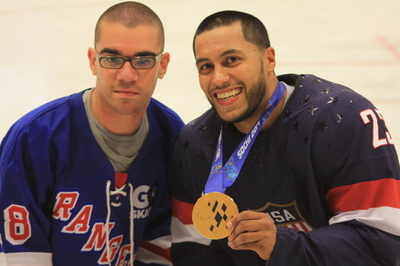 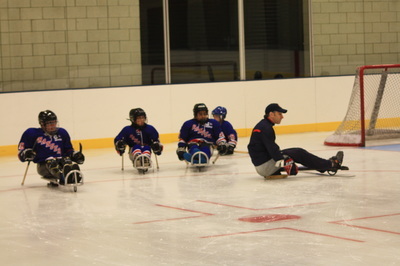 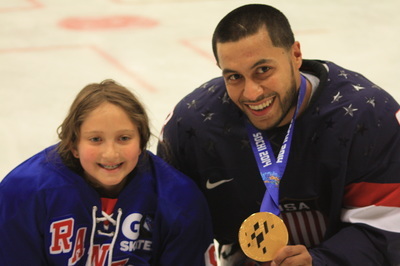 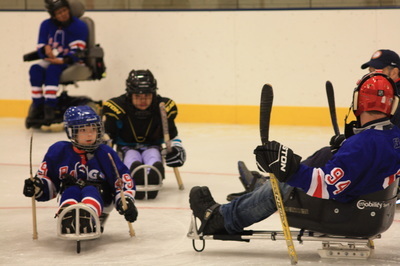 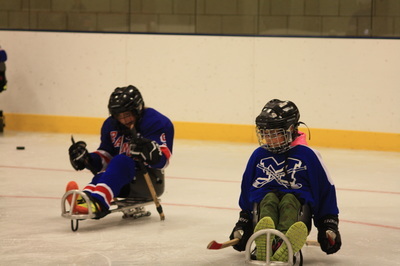 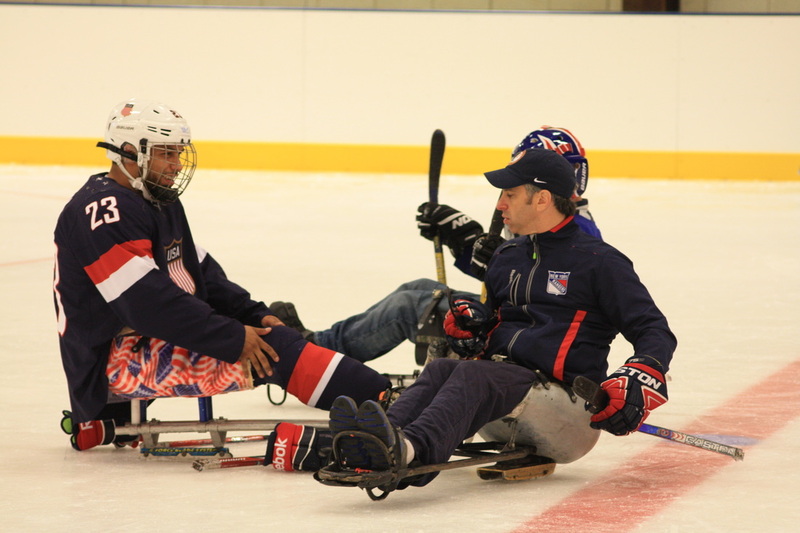 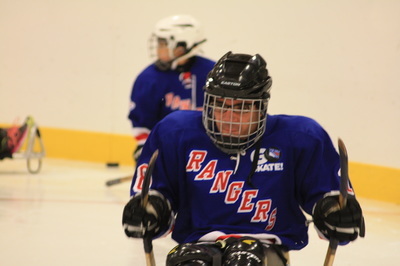 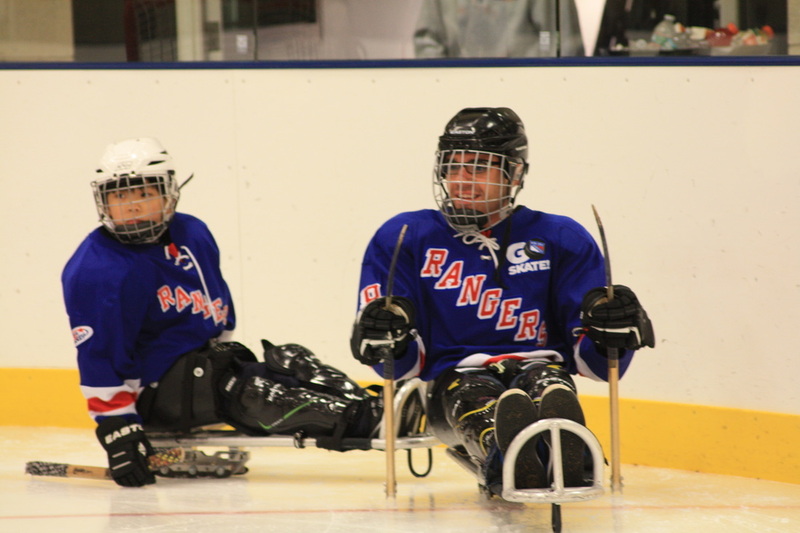 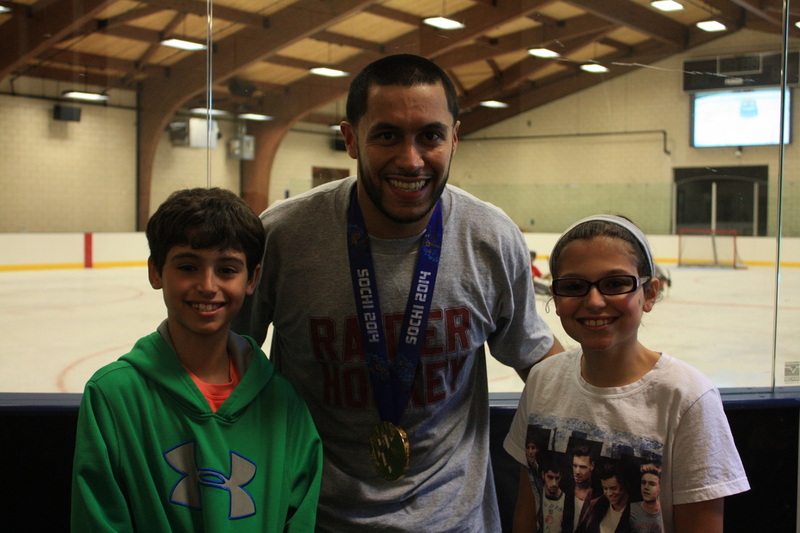 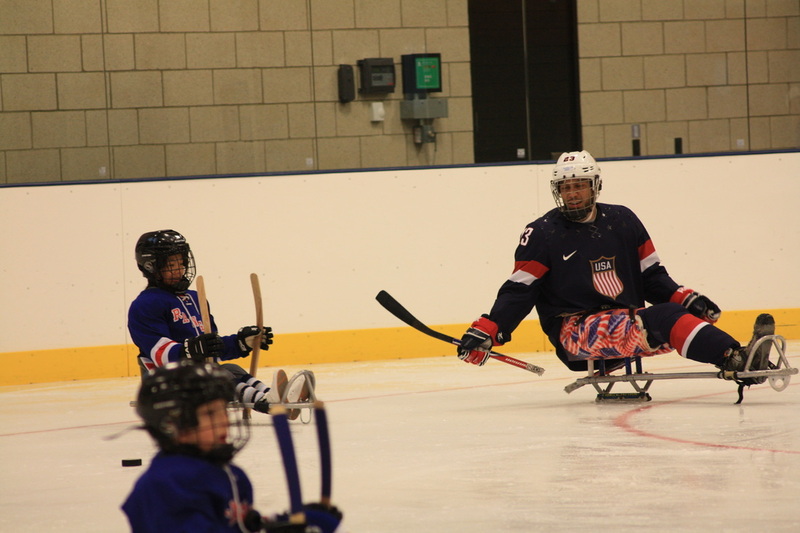 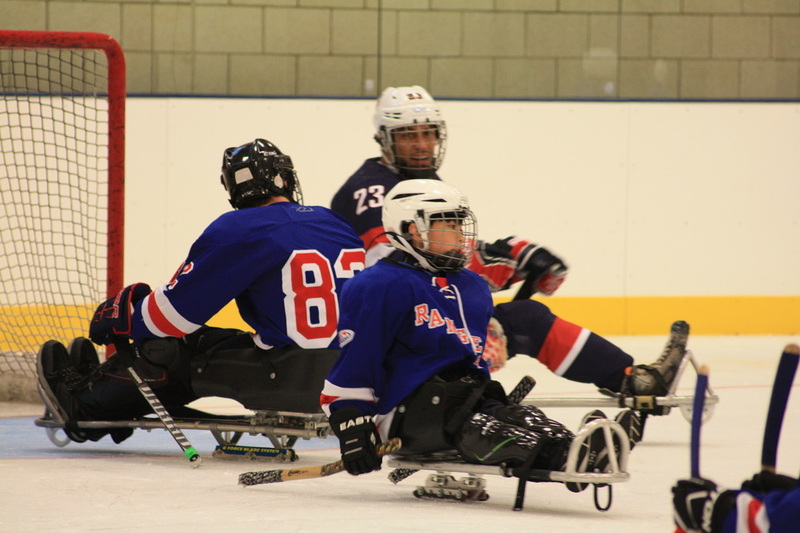 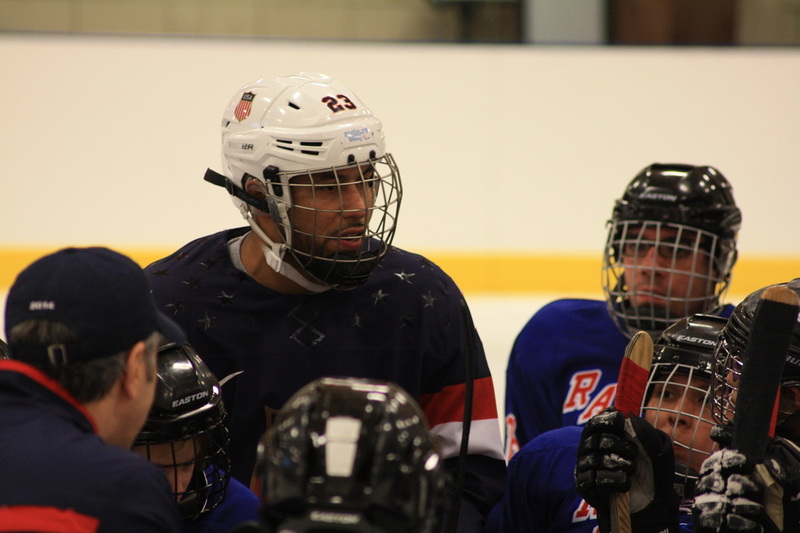 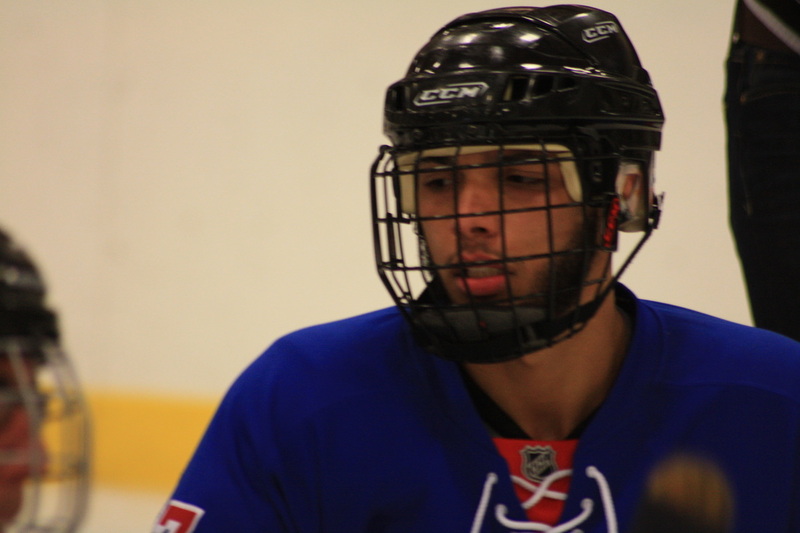 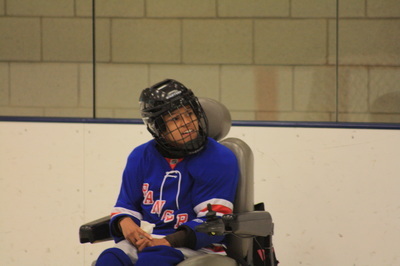 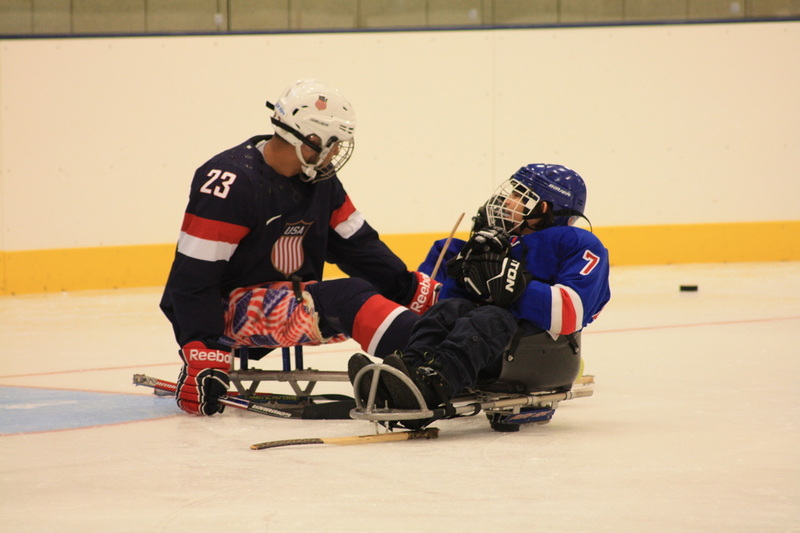 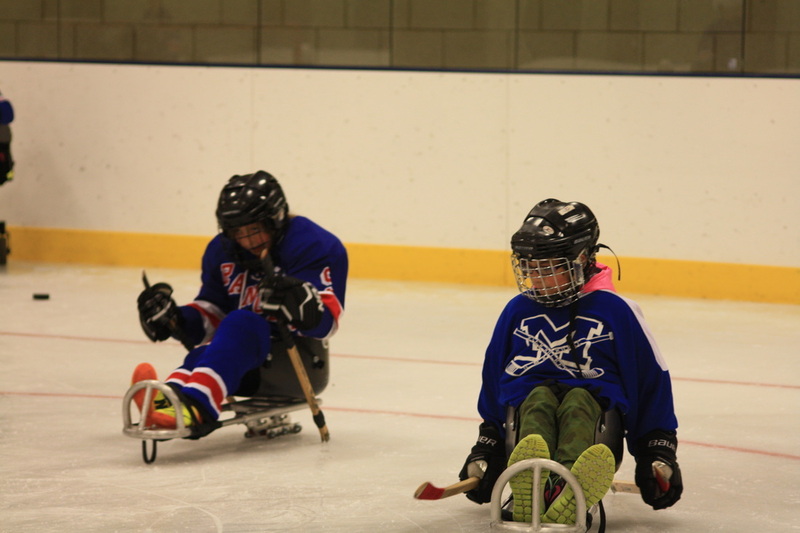 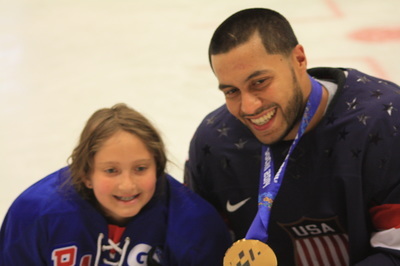 We were lucky enough to spend a day with Rico Roman, USA Sled Hockey Gold Medalist this spring. 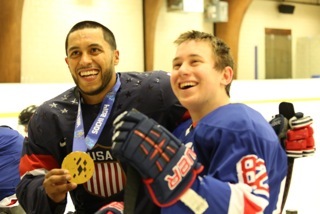 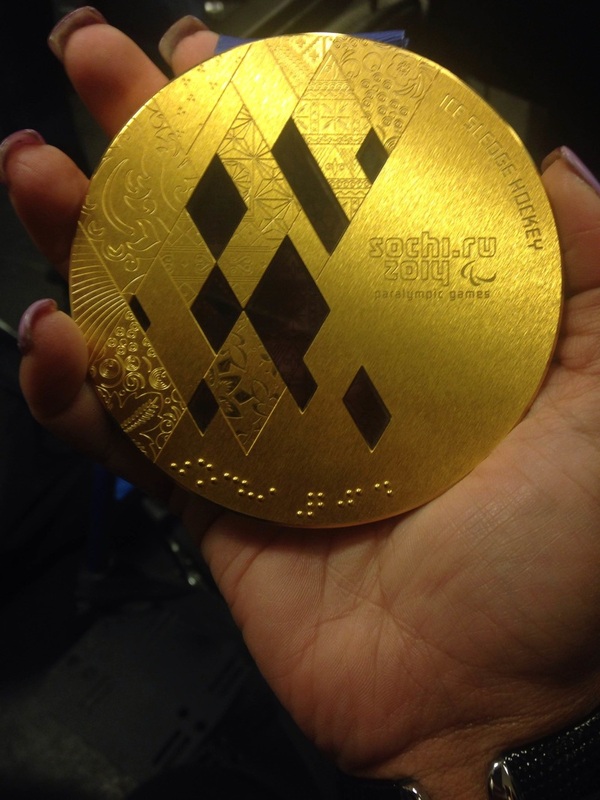 Rico taught us a few things on the ice and brought his gold medal for everyone to see and to touch. What a thrill. 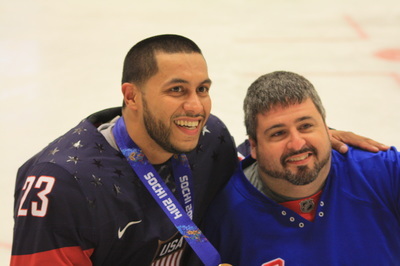 Rico is a great guy and we cant thank him enough for sharing his time with us. 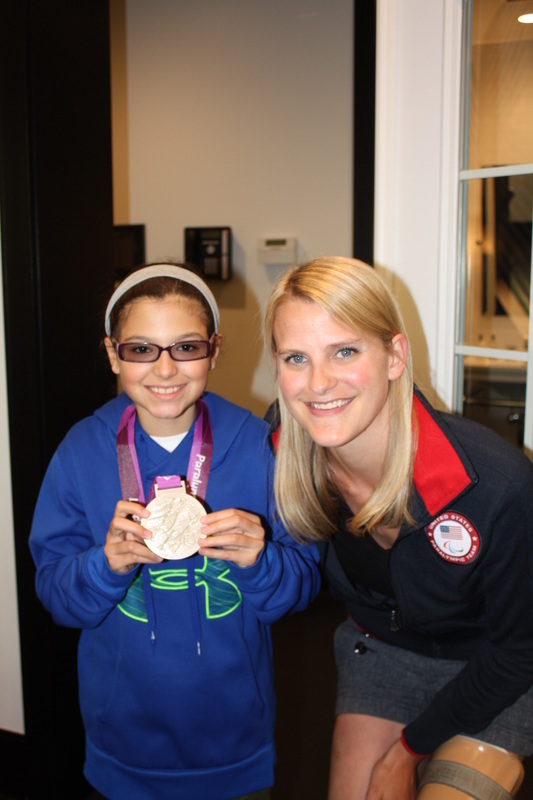 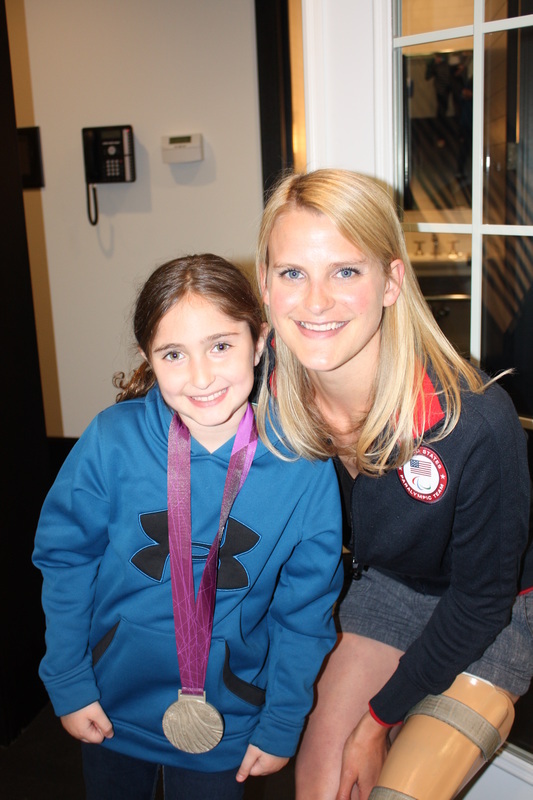 Thank you also to the Scott Stackman and Virginia Tinley of the Challenged Athletes Foundation for making this possible. Finally also thanks to Larry R. for his very generous hospitality.